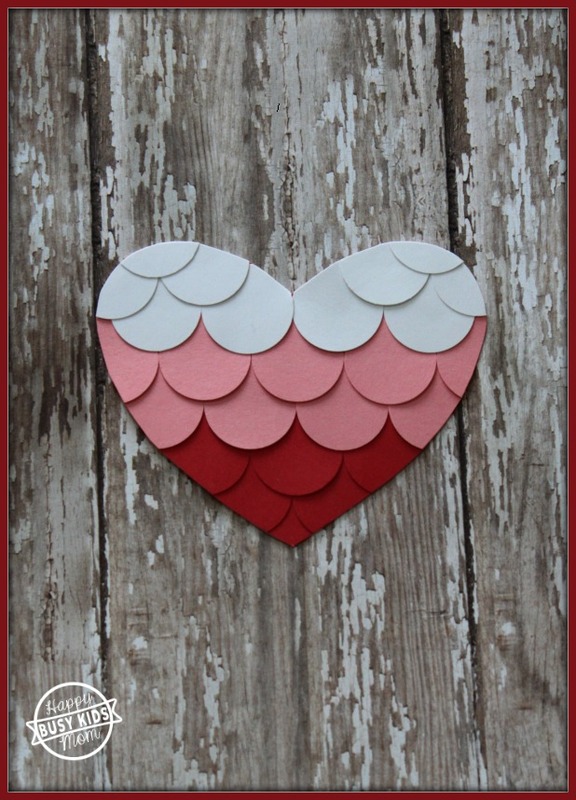 Are you looking for a funny, candy-free Valentine? 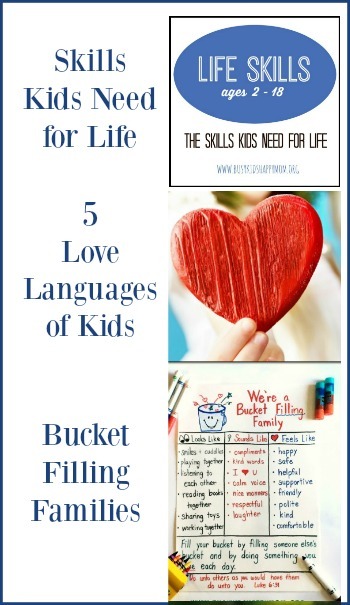 Look no further then a Valentine Mad Libs. I think this is a perfect “card” to share with classmates in grades 3-6. Boys really get a kick out of them too! Nothing like funny adjectives for mad libs to get everyone laughing. By the way, we get our “candy” in at our home with a fun smore Valentine. We actually used extra pages of Mad Libs books we already had. They’re perfect to take on car trips and slip perfect into any bag. Mad Lib books. It seems that that have Mad Libs books for every holiday and theme. From Star Wars to Ninjas to Dance Mania and Hippies (above). 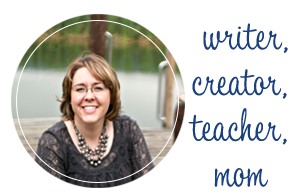 1″ strip of paper to wrap around the outside. Tape to hold the paper strip in place. 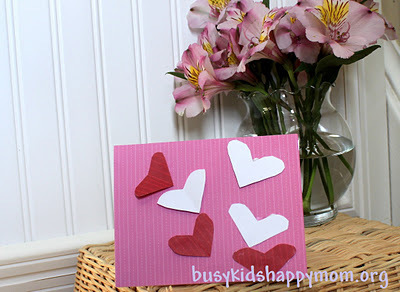 If you want to make round tags, use (my favorite) Fiskars Circle Punch to cut the circles. Tear the Mad Libs pages out, trim the top edge, and roll up. Wrap a strip of paper around the outside of it and secure the strip with a piece of tape. 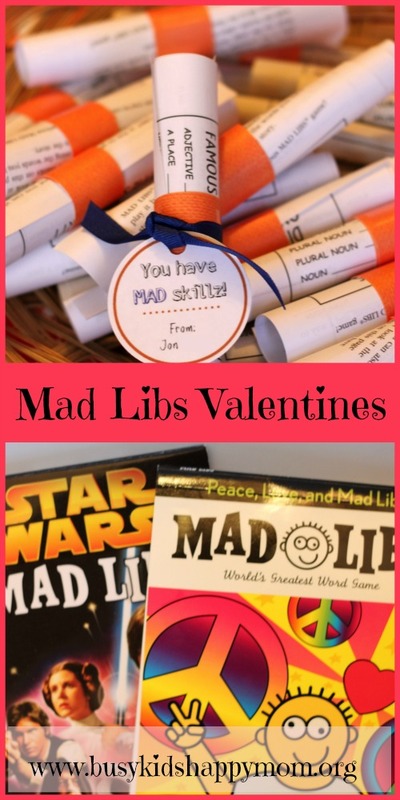 Attach a cute round Valentine Mad Libs tag to each one. 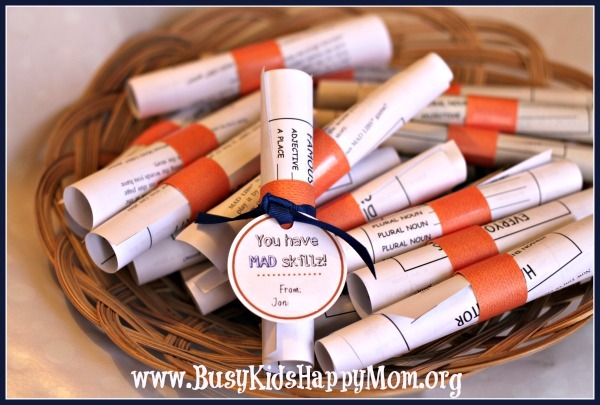 I would have loved these Valentine Mad Libs in pink and red… Valentine’s Day colors. My middle school BOY thought differently and went for his favorite color, orange. Reminds me of the Sand Art Ornament he did in orange and blue! In fact, he decided that we only needed the ribbon for the photo (above) and that he was just going to tape the rest on…. be still my female heart! He said, “They just throw that part away anyway mom.” True, true, true. If I tweeted, it would be #olderandwiser.